MOTHER FUNKIN' FARNER - MARK FARNER LIVE AT THE ARCADA THEATRE! Earlier this week we ran the review of the Chuck Negron half of the "Voices Of Rock" concert held at The Arcada Theatre on February 13th ... and we hoped out loud that Ron Onesti would follow this up with a review of the performance of the OTHER headliner that night, Mark Farner, formerly of Grand Funk Railroad. Well, today our wishes came true ... so, running simultaneously with his Daily Herald column, here is Ron's review! The Grandest Band of Funky Blues-Rock! 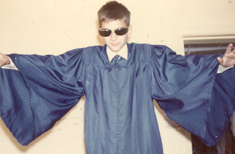 I guess I could say that I really began my rock 'n' roll journey back in sixth grade at Our Lady of the Angels School on Chicago’s west side. We had our first gymnasium dance that year, and I remember that night … and my burgundy outfit well, complete with red vest, deep red polyester pants, red-flowered silk shirt and black platform shoes. Flashbacks still occur involving streamers taped to the walls and hanging from the basketball hoops, a punch bowl of Hawaiian Punch, just a few of the fluorescent bulbs on, a record player manned by the gym teacher and a bunch of boys on one side of the room, and a bunch of girls on the other. Everyone pretty much stayed on their respective side of the gym for most of the night, except for when the teacher called out “Ladies choice” and played Terry Kath’s “Colour My World” by Chicago. I’ll never forget that dance. I was a strapping four-feet, ten inches, and she was a solid five-six. I rested my head on her chest during the flute solo, and from that moment on, I was never the same. Anyway, in typical youthful fashion, the eight p.m. ending to the dance was quickly approaching and the realization that the evening was coming to an end caused mass concern and the teacher to turn up the music a bit. “The Loco-Motion” was just released by Grand Funk Railroad, and was the teacher’s last-ditch effort to shake things up. For some reason, that song brought us “I don’t dance fast” kids all on the dance floor, and all at once we became “American Bandstand” wannabees. Then the last song came on, GFR’s “We’re An American Band”. We air-guitared like we were on stage ourselves, and I knew then what it felt to be a rocker! But by the time I graduated grammar school in 1976, the band that began as a power-trio with Don Brewer, Max Schacher and Mark Farner had broken up. No more Grand Funk 45s to be purchased from the record store on Saturday mornings! I was heartbroken! But over the years, the band got back together and split up again multiple times with a variety of rosters. I was able to breathe once more. With all the bands I have worked with in my twenty-five-plus years in the music biz, I only worked with Grand Funk for the first time just in the past couple of years. And that was with the Don Brewer version of the band. Although Farner was in and out of the band over the years, he predominantly focused on his solo career. I recently worked with Mark Farner for the first time on a co-bill at The Arcada Theatre with Three Dog Night original, Chuck Negron. The two guys and their respective bands just killed that night, with just so many hits and both were out-of-control rockers that have not missed a beat! I met Farner for the first time as he was on our stage doing his sound check before that night’s show. He is a thick guy, still sporting his signature patriotic colors and long, straight hair. As I was watching him effortlessly rock his guitar, I was marveling about how his thick fingers landed perfectly on every fret. He said hello, and I could pretty much look him square in the eyes. Whoa! I thought he was a much bigger guy! We talked a bit, and he is still very much grounded, with still a deep appreciation for his fans. I told him my story about those two songs and he gave me a couple of stories back. First of all, he saw that Todd Rundgren signed our dressing room walls after his recent Arcada appearance. “Did you know that Todd produced both those songs, ‘The Loco-Motion’ and ‘We’re An American Band’?,” he said. “As a matter of fact, had it not been for Todd, we would never have recorded ‘Loco-Motion’”! It seems that the guys were recording when Farner walked in whistling the Little Eva version of “The Loco-Motion” he had just heard on his car radio on his way to the studio. Rundgren heard Farner and the producer wheels started turning! In 1965, The Beatles sold out Shea Stadium in New York in just about two weeks. That was an incredible feat, being that meant over fifty thousand ticket buyers in a pre-internet culture. A few years later, Grand Funk Railroad smashed that record, selling out Shea Stadium in less than 72 hours! “It was a mind blowing experience! People everywhere, we had to be helicoptered in. When we landed in the parking lot, our limos weren’t there, so the police brought us into the stadium to the stage that was on second base with their sirens on. One of the coolest experiences of my career,” Farner said. During his incredible show, Farner slammed on the brakes to pay special tribute to military personnel. He touched on their sacrifices, and dedicated his next song, what came to be a Viet Nam War staple. Originally penned by Farner about a sea captain facing a mutiny with his crew, “I’m Your Captain” (Closer To Home) became a war-time anthem for the troops overseas who just wanted to be “Closer To Home”. At the twenty-fifth anniversary of the Viet Nam Wall, “I’m Your Captain” was voted the number one requested song by Viet Nam War Vets. Man, I'm hoping you bring BOTH of these guys back so I can see them! I had a chance to interview Mark Farner when he was part of the Happy Together Tour a couple of years ago but I could never free up my schedule to meet his so the interview never happened. Too bad ... I hear he's a real interesting and down to earth guy to talk to. My brother was the big Grand Funk fan in our house ... we had competing bands in the early '70's and his always rocked a little harder ... we tended to stay more to the "pop" side of things. Grand Funk Railroad sold a gizillion albums in the early '70's ... one of the top-selling bands out there ... and that was pretty much how they were perceived at the time. So it was a real surprise when they started to hit the pop singles chart, too. "We're An American Band" and "The Loco-Motion" both topped the chart in all three music trades ... and their version of "Some Kind Of Wonderful" and "Bad Time" were Top Five hits, too. I have to count "Closer To Home" as one of my favorites by them. I also like their version of "Feelin' Alright" ... and some of their Forgotten Hits like "Footstompin' Music", "Rock 'n' Roll Soul" and "Walk Like A Man". One of the things I wanted to ask Mark about was how he felt at the time and now, all these years later, about such a drastic move to the pop side ... a lot of the original die-hard Grand Funk Railroad fans thought the band sold out when it went the pop route under Todd Rundgren's direction ... but they also picked up millions of NEW fans in the process. "We're An American Band" and their version of "The Loco-Motion" are known worldwide ... and took their already VERY successful career to a whole new level. An unexpected surprise to see The Caped Crusader in your pages this week. 50 years since the tv series, eh? 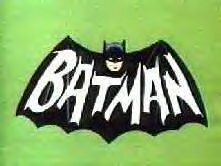 I used to tune in to see every episode ... same bat time, same bat channel. 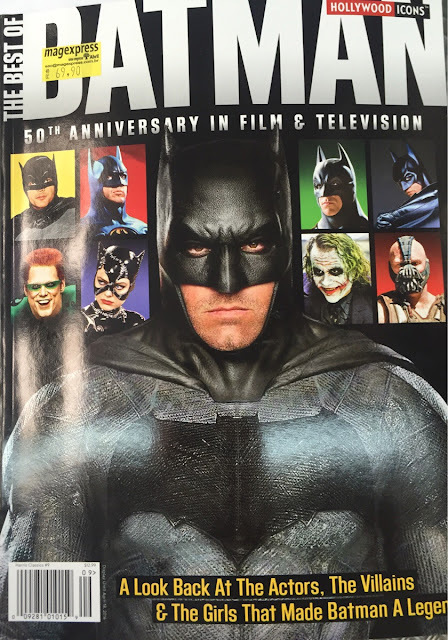 It's interesting reading some of the comic book history in this new magazine, on newstands now. In 1940, creator Bob Kane fought the idea of adding a "sidekick" ... then finally relented and said he'd do it for one issue ... but once the public discovered Robin, The Boy Wonder, circulation nearly doubled! Batman and Robin were The Dynamic Duo from that day forward. It was enough to drive ANY self-respecting kid to superherodom! The first thing I thought of from Monday's FH was just three items: the Marketts, Neal Hefti and Jan and Dean. Just a little bit surprised you didn't post them. Have a good week. Appreciate the work you do. Every episode of the TV series "Batman" was the talk of my junior high school the next day. I know the show was silly and campy, but it was FUN! Don't forget about the MUSIC. Jazz composer / arranger / trumpeter Neal Hefti wrote the "Batman Theme", and it was played on the radio. I don't know how far it went up the charts, but it was a hit! Hefti had a long, distinguished career, playing and arranging for many of the big band greats, including Count Basie and Charlie Barnett. He also composed many movie soundtracks and TV scores. Have you ever featured a list of TV themes that became hits on your site? Guess who I wanted to be back 1967!!! I just finished watching the PBS / American Masters profile of Carole King. I swear, it gave me goose bumps. I had no idea that she had written all of those songs for others. I have always been a fan of her and her talent. I love her "Tapestry" album and her earthy delivery of a song but I had no idea how incredibley talented she really is. The things that were shared about her life were just plain amazing. I am pretty sure I now have a girl crush. You may have already seen this show. I do mostly tend to see these things way after everyone else but I highly recommend it and I can't wait until PBS airs it again. Lots of rave reviews for this one. I was most surprised by how much footage they found to work with as Carole tended to stay out of the limelight prior to her "Tapestry" album. (And what a MONSTER album it was!!! #1 for fifteen weeks and over twenty million copies sold) To this day I get chills when I hear "It's Too Late", even for the millionth time. Carole had been writing hit songs for others for decades before she finally decided to step out front and carry a record on her own. Try to watch the PBS American Masters series this weekend on Carole King ... it's really well done! Love those History of Rock magazine covers! Made me think of the legendary History Of Rock And Roll radio documentary from Drake / Chenault and Gary Theroux. There is / was a station in Washington, DC, WHFS, that was once a great alternative station and has gone through several format changes over the years.. Now it's business news, but in between one changeover they ran that program nonstop for several weeks as a stunt. Over thirty years after it was produced, it still blew me away. I still believe if they put it on an endless loop it would still outdraw most anything else on FM theses days! Cool stuff - thanks! I'm sure Gary would be the first to admit The History Of Rock And Roll is in need of some serious updating ... but I'd still love to hear it straight through in its entirety as is. (You've got to keep in mind that nobody had really done an in-depth series like this before ... they were truly breaking new ground. Sounds like a great time! Unfortunately (or fortunately for me anyway!) I'll be in Florida that weekend - which means NO SNOW!!! I would have liked to meet some of the Forgotten Hits crew members! 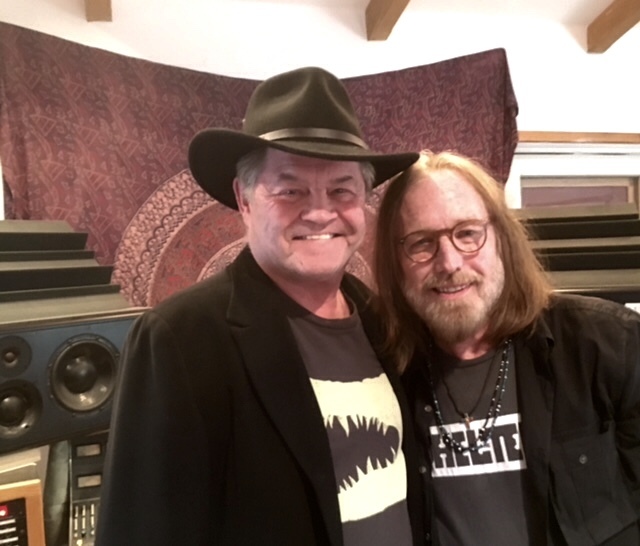 MICKY DOLENZ WILL BE TOM PETTY'S FIRST GUEST ON HIS NEW SIRIUS/XM RADIO PROGRAM! New York – Tom Petty will debut a new radio show to join his other SiriusXm shows – Buried Treasure and Tom Petty Radio - called Tom Talks To Cool People – set to debut next month. Tom’s first guest is Micky Dolenz, of The Monkees, who begins the Monkees’ 50th Anniversary tour in June and will release a new Monkees album entitled Good Times. >>>Sorry but I've got to COMPLETELY disagree with you on both counts here. "Uptown Funk" is probably one of the best put-together, most exciting records of the past 20 years ... it takes the very essence of '60's soul, infectious pop and just the right amount of funk to create a sight and sound that is uniquely its own. As for "Girl Crush", it is pure class from start to finish. Maybe YOU think Janis Joplin could have cut a better vocal ... but I'll tell you what ... Karen Fairchild has one of the purest, cleanest, clearest voices I've heard in decades ... I found her vocal on this track to be as electrifying as a Linda Ronstadt vocal from way back when ... and that's really saying something! I’m not saying the Girl Crush Chick can’t sing. The music is nothing. Maybe if she were singing a song with some music, it might be better. It’s not bad, it’s just kind of nothing. I don’t think Pseudo-Country Pop would have been a Janis Joplin vehicle. I wouldn’t want Janis singing Carpenters records, and I wouldn’t want Karen Carpenter doing “Ball & Chain” either. Again, Uptown Funk may be a mix of something. 60’s Soul wasn’t one I was thinking about. They combined several things to make gibberish. We'll just have to agree to disagree on this one. For me perhaps the greatest appeal of "Girl Crush" (aside from the OUTSTANDING vocal) is the fact that it is stripped down to its barest essence ... which is how a really GOOD songs shines through ... when you take away all the fluff and production enhancements this girl can just sing the HELL out of this tune ... and it's catchy enough that I can't get the damn thing out of my head. 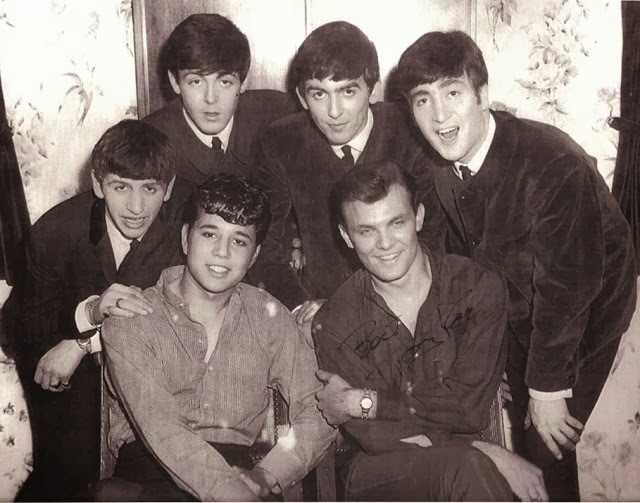 Ron Onesti is calling it "The History-Making SHOW OF THE YEAR" ... when, on Sunday, March 13th, The Arcada Theatre welcomes Tommy Roe and Chris Montez to the stage along with The Cavern Beat Tribute To The Beatles show, thus recreating the magic of the UK tour 1963 tour they all did together that helped launch Beatlemania. 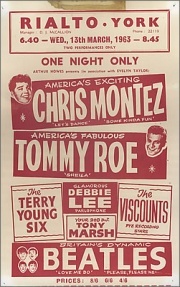 1962 was an incredible year for American pop music superstars Chris Montez and Tommy Roe. Chris released the million-selling smash hit "Let's Dance" and Tommy released a number one Billboard chart hit, Sheila, both certified gold records. On March 9th, 1963, they embarked on a 21 concert in 23 days tour of the UK together. Liverpool locals "The Beatles" were added to the bill to open the show. And then, on March 22nd, 1963, right in the middle of this UK tour, "Please, Please Me", The Beatles' first album was released, and Beatlemania officially began ... and this became the last time The Beatles were ever an "opening act"! Chriz Montez and Tommy Roe are certified Rock and Roll legends, and now they're back together to perform all their million-selling hits, and to recall the tour that changed music history forever, LIVE at The Arcada Theatre on Sunday, March 13th, which places them smack dab in the middle of the 53 Year Anniversary of that history-making tour ... INCREDIBLE! And we're turning it into a Forgotten Hits Show!!! We're trying to round up as many Forgotten Hits readers as we can to join us at this very special concert event. In fact, Ron is even offering a 20% ticket discount just to entice you to come on out and celebrate with us! Tommy Roe's million selling hit songs include "Shelia", "Dizzy", "Everybody", "Heather Honey", "Hooray For Hazel", "Sweet Pea" and "Jam Up And Jelly Tight" . Chris Montez's million selling hit songs include "Lets Dance", "Call Me", "The More I See You", "Time After Time", "Some Kinda Fun" and "There Will Never Be Another You". And to help recreate the magic of that legendary UK tour, we'll have The Cavern Beat Tribute to The Beatles opening the show, featuring an "Early Beatles" set list that will include favorites like "She Loves You", "Love Me Do", "I Want To Hold Your Hand", "From Me To You", "P.S. I Love You", "Twist And Shout", and many others! This is an event you're NOT going to want to miss! Plus it'll be a GREAT chance to get some of our faithful Forgotten Hits Readers together so we can all enjoy the show together! C'mon ... we're looking for a big turn-out for this ... in fact, since the show is on a Sunday at 5 pm, we're hoping we can even get some of our out-of-town readers to come in for the event ... we'll even take you backstage to meet the legendary Tommy Roe and Chris Montez! Just go to the Arcada Theatre / OShows website and enter the special promo code FHITS20 and you'll receive 20% off your tickets purchase! Then, drop us a line to let us know that you're coming ... I would LOVE to get a couple hundred of us together to enjoy this show ... and meet many of you for the very first time. Let's make this a Forgotten Hits Concert Event!!! Please come out and join us for this very special event ... we're looking forward to meeting each and every one of you!!! Back on Saturday, February 13th, Ron Onesti booked "The Voices Of Rock" at his Arcada Theatre, featuring the pairing of Chuck Negron of Three Dog Night and Mark Farner of Grand Funk Railroad. It was one of my most anticipated shows for this year ... but our daughter Paige was starring in her college production of "Romeo And Juliet" that same night down at Illinois State University, so attending the Arcada show simply wasn't an option for me ... there was absolutely no way we were going to miss her big Shakespearean debut! What can you say about a band that had 12 gold albums and 21 consecutive top 40 hits, seven of which went gold? Especially during a time when there where countless bands vying for airplay and record sales, and a time when the Beatles, the Beach Boys, the Rolling Stones and even Elvis were making records! AND … over a period of only about six years. I am sure you would agree that achieving those numbers is quite mind-blowing. Danny Hutton, Cory Wells and Chuck Negron came together in 1967 as a rock-vocal trio with a backing band. They came to be known as Three Dog Night, a name suggested by Hutton's girlfriend at the time who had read an article about early Australians who would regularly sleep in holes in the ground. During the chilly nights, the natives would sleep with a dog to keep warm. If it was very cold, they would sleep with two dogs, and, on those blistery nights, three dogs were enlisted for overnight warmth. She thought it was an interesting name, and so did the guys. The group disbanded in 1976, but then regrouped briefly in the early '80s. 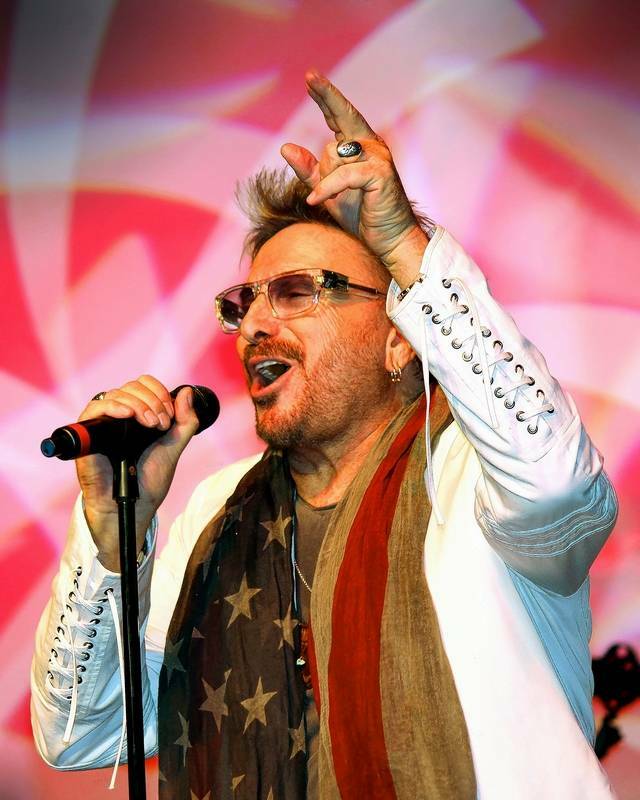 Chuck Negron fell victim to serious drug problems and never really rejoined the touring band. I have had the privilege of working with this band on several occasions, but not before Chuck Negron left the act. Cory Wells, the bright-smiled original member who sang lead on several hits including the No. 1 single "Mama Told Me Not To Come," died at age 74 last October of blood cancer. Despite the rampant drug environment of the day, he was noticeably clean, never taking part in those addictive vices of the industry. I remember him well as a soft-spoken, talented soft-rocker. The shows I did with Three Dog Night, really consisted of only Wells, Hutton and the band, and I had never worked with Negron up to that point. I really wanted to work with Chuck as I have been a fan of the band since hearing their tunes on WLS and WCFL in 1970s Chicago. I wanted to hear the guy who recorded such gems as "One," "Shambala," "Joy To The World" and so many others. My opportunity came on a whim as I was listening to the radio in my car a few months ago when Three Dog's "Eli's Coming" was playing, only to be followed by Grand Funk's "We're An American Band." As I was playing the dashboard-keyboard, I thought to myself: "Now THAT'S a cool concert lineup!" Why not pit two of my favorite rock voices together, Chuck Negron of Three Dog Night and Mark Farner of Grand Funk Railroad. I spoke to their respective agents and they thought it was a brilliant idea! So both guys came with their own bands, and MAN did The Arcada rock! Two icons, a night of power hits and a crowd that went insane. What usually happens is the crew comes in first to set up and test gear. Then the band comes in for a sound check. THEN come the lead singers. So Negron's band was on stage doing its sound check, while Chuck walked in through our main entrance. He didn't really say hello to anyone; he just heard the music and went straight to the theater doors. Rather than walking in, he just stayed at the door and watched his band with a proud smile on his face. Before I even met the guy I knew it was going to be a great show because I immediately saw the excitement on his face about his own band! Negron has a large, towering presence, in obvious rocker garb with moderately spiked hair while still sporting his signature bushy 'stache. As I introduced myself to him, he could not have been any nicer. Within ten minutes of making his acquaintance, he was already sharing stories of the Three Dog heyday. In his native Bronx, New York, dialect, he looked around and said: "I just love these classic joints. Reminds me of places like The Fillmore (a legendary San Francisco club that hosted all the big names back then)." As I was talking to this guy, I could not help but think about the drug-addicted part of his life that not only haunts him to this day, but also is regularly associated with him as a rock icon. I complimented him on his tell-all book, the 1999 release of "A Three Dog Nightmare." It talks about his unceremonious departure from the band as he was presented with papers of his dismissal while in rehab. He didn't fight it at the time, thinking his ultimate sobering would result in an invitation to return. The invite never came. "Ya know, drugs were absolutely everywhere back then. Most of the guys were into it heavily, except for Cory. Because I chose to come out publicly with my demons and face them, drugs have always been associated with me," Negron told me. "Believe me, the other guys were as guilty as I was." "But Cory had his 'situations,' too," he said. "I can tell this story 'cuz he's gone now, and I wouldn't have wanted to embarrass him. I was very good friends with his wife and she told me a cute story. Once in a while, Cory would ask me to tell his wife that he and I were going fishing, which we actually never did. He would do whatever it was he would do, then return home with his 'catch.' The last time he did that though, the fish was stuffed with shrimp and bread crumbs! Instead of buying his raw fish alibi, he bought a stuffed one by mistake. His wife just shrugged her shoulders and was laughing … on the inside! She knew what was going on. That was the time, and that was Cory!" We talked about him ever singing with Danny Hutton and the band again. "Now that Cory is gone, it is almost a mute point. There can never be a Three Dog Night again. I have always wished that I would be welcomed back into the band. My heart was broken then, and it is broken now about the issue," he said. There isn't a day that goes by that a Three Dog Night song isn't playing on the radio somewhere in the world. "I still get a thrill when I am driving and one of our songs come on the radio," Negron said. "My 15-year-old doesn't think it's so cool yet. She will one day I'm sure, but until I do a duet with Justin Timberlake or Taylor Swift, she will still roll her eyes at the songs." As I watched Chuck at the microphone during his show, I was just blown away by the sound of his voice, and the way he connected with the audience. It was like being in his home as he told the stories connected with the songs. It was a virtual jukebox of Seventies tunes, one hit after another, all performed by a guy as excited about the music as the audience was. As these rock icons get on in years, and as we join them in the process, I can't help but marvel at the impact their music has had on pop culture. They sold hundreds of millions of albums, performed live to millions of fans over their careers, and left a lasting impact on generations of karaoke-culture vocalists to come. And they did it without the Internet, without international downloads and without the help of sensationalized press. They did the old fashioned way, one disc of vinyl, one AM/FM radio play, and one paper concert ticket at a time. Poor Adam West was typecast for life ... although he never really left the public eye ... and still does voiceover work on "Family Guy" from time to time. 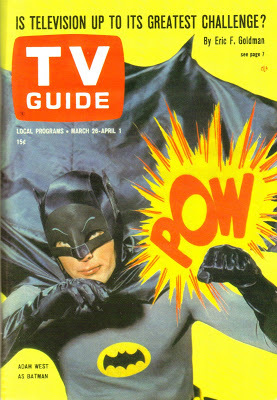 Burt Ward, however, has chosen to remain mostly out of the limelight, save a few reunions now and again. Each of their self-penned biographies are VERY entertaining reads ... pick up a copy if you can. The show was camp and played for laughs (infuriating many of the diehard Batman purists out there) but the audience reaction went through the roof ... and soon celebrities were clamoring for a guest spot as either a villain or one of those people poking their heads out the window as Batman and Robin scaled one of the buildings in Gotham City with their bat rope. Airing twice a week ... part one always left us with a cliffhanger ending ... would Batman and Robin survive whatever devious plot that week's villain had cooked up for them? ... but part two always found our heroes, The Dynamic Duo, victorious in their ongoing fight against crime ... only to find that three or four weeks later that same villain (be it The Joker, The Penguin, The Riddler, Catwoman or one of several others) would be out plotting their next revenge or over-the-top caper. Interest is heightened now thanks to the upcoming "Batman v Superman" movie starring Ben Affleck and Henry Cavill in the title roles. It hits theaters next month. 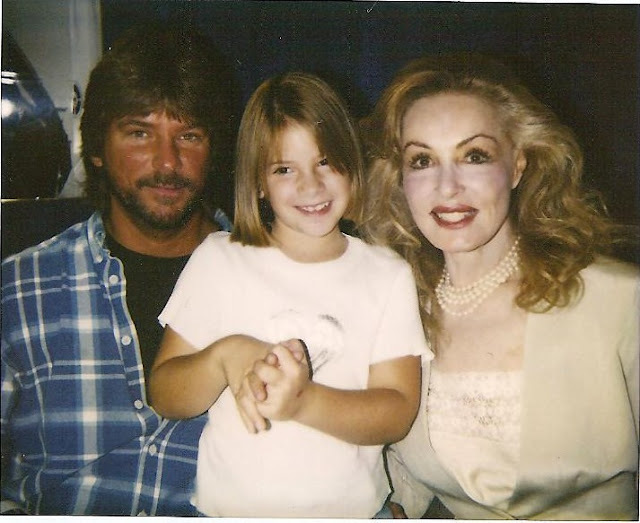 Me and Catwoman (the incomparable Julie Newmar) from about twenty years ago (with my daughter Kris) at one of those celebrity collectibles shows. Lots more coming up ... very special "Sweet 16" programming on the 16th and 29th of every month this year! I did a search on my iTunes database (I have over 51,000 songs in it) and came up with 85 songs that charted or are “Classics” that contain the word “river”. 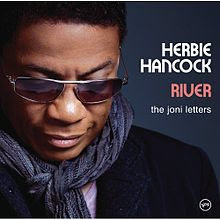 The Music Vault came up with 662 entries for the word “river”. That includes anywhere it finds that word – in the A or B-side, or in the artist name or even the label name. Save $20 on orders over $100 ... and $50 on orders over $200! One more river song for you and that is UP A LAZY RIVER by Si Zentner out of 1961. All of these river songs would make one DROWN IN HIS OWN TEARS. Another song to consider is one of my favorite river songs: John Phillips' "Mississippi". Thanks for featuring all the songs with "river" in the title. Right away, I thought of a piece of music that takes up about two-thirds of side two of Chase's debut album, "Chase". It's titled, "Invitation to a River", and is a musical journey, dealing with the subject of suicide. One of the cuts is called, "Reflections", which features leader, Bill Chase, playing through an audio loupe, to harmonize with himself! Great stuff to pull off in the early 70s! You can actually picture the subject staring into the river, as you listen. If your readers have time to take in almost fifteen minutes, give it a shot! I'm two days shy of my 81st birthday. I don't know if I'm the oldest person on your list but I'll bet I'm in the top ten. So my list of "River" records is a reflection of my age and what I was listening to when I was a whippersnapper of thirty or so. And did anyone mention Herbie Hancock's Grammy winner of 2008, a rare Album Of The Year award for a jazz recording? It's called River: The Joni Letters, a tribute to Joni Mitchell, of course. Joni and Herbie are long-time friends who worked together way back in 1979. There are no genre boundaries in music, it's nice to know. Are my eyes going bad? With all this talk about songs dealing with rivers did someone forget Ike and Tina’s RIVER DEEP MOUNTAIN HIGH??!! Tina had a solo version of this song as well, but as much as I can’t respect Ike’s personal behavior, I do have to admit I think the duet version is better. And there’s an ancient WLS Silver Dollar Survey, which you probably have, that lists it somewhere around #30. Incredible. I don’t think I was even in high school when River Deep came out. That song took soul music, if we could call it that, to a different area entirely … way ahead of its time. Yuck! The Grammys were hideous! Good Grief. That stuff is music? They have basically been useless for 40 years. Marriage Reality Boot Camp is about as interesting. Tributes to Old Musicians who passed away was only tolerable stuff. Put a Fork in them! PS - Uptown Funk wouldn’t be in the Top 5000 songs of 1966. I’m sure it would have been too lame to record back then. Maybe a couple of amateur Polka records weren’t as good. Then again maybe they were. As for Girl Crush, I almost made it to a minute in before I fell asleep. Another let’s take the Country out of Country songs. Sorry but I've got to COMPLETELY disagree with you on both counts here. "Uptown Funk" is probably one of the best put-together, most exciting records of the past 20 years ... it takes the very essence of '60's soul, infectious pop and just the right amount of funk to create a sight and sound that is uniquely its own. And "Girl Crush" is pure class from start to finish. Maybe YOU think Janis Joplin could have cut a better vocal ... but I'll tell you what ... Karen Fairchild has one of the purest, cleanest, clearest voices I've heard in decades ... I found her vocal on this track to be as electrifying as a Linda Ronstadt vocal from way back when ... and that's really saying something! And check it out ... Scott Shannon agrees with me!!! I, TOO, AM A FAN OF GIRL CRUSH...WHAT A GREAT SONG! Just updating the comments from “Bob” in reference to The History Of Rock magazine series. It’s been released on a monthly basis for the past eight or nine months, and is actually currently up to the year 1971 in distribution. It is made up of actual articles / interviews from the designated year, as originally printed in the Melody Maker and New Musical Express. This gives it a very unique perspective now, so many years later, with so much of the “unknown” in music history still to be discovered at the time. 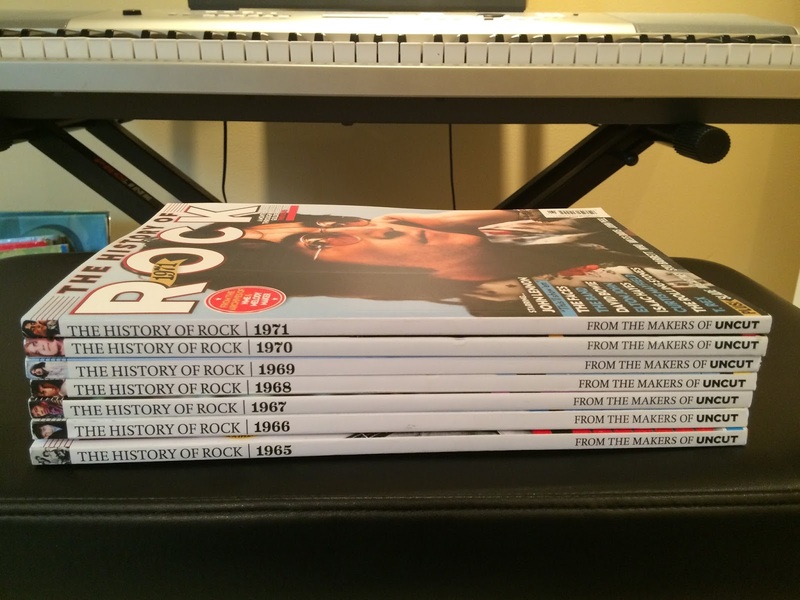 The yearly history series is being published by the makers of Uncut Magazine. Uncut is a British publication that produces a monthly magazine dedicated to Rock music (with a slant toward bands from the 60’s, 70’s and 80’s, and does include a number of forms of rock / folk / soul, but not much heavy metal and little rap, thank goodness.) Uncut is similar to another British monthly called MOJO. I have been purchasing a number of Uncut and MOJO issues each year for the last 10+ years. They both have extensive album (CD, Vinyl, etc. ), music related DVD / BRD and book reviews, including 60’s, 70’s & 80’s CD & Vinyl re-releases & reissues / remasters reviews, which to many might be worth the approx. $10.00 - $11.00 price per issue alone. Back to the History series ... the first issue released was the year 1964, I think, and is now up to 1971 (on “newsstands” now). I have all of them so far, except 1964, which I’ll most likely get online via the publisher to keep my set complete. You can find them at Barnes and Noble stores each month. It’s interesting, though, that the 1966 issue which Bob had mentioned, was actually released about six months ago, and is available currently in food and drug retail outlets. My guess is that for some reason there was an over-run for that issue / year, or maybe they are staggering releasing the series to certain retail outlets for some reason? Anyway, these are fun reads, and can be a great collectors set. I REALLY ENJOY THESE, TOO. 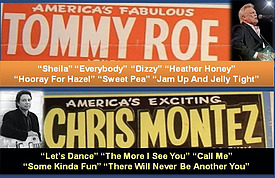 Sunday, the 21st of February, is my birthday and it is with great pride I mention that when I was twenty (1962) Tommy Roe stepped into RCA Studio B in Nashville and recorded his hit version of Sheila backed with Save Your Kisses on US ABC 10329, which will be released in May and enter the Billboard chart at number 73 on July 28th, reaching number 1 on September the 1st where it remained for two weeks. In the UK it would reach number 3. Musicians involved were Buddy Harman and his awesome drumming, Floyd Cramer on piano, Bob Moore on bass and Jerry Reed and Wayne Moss on guitar and with the Jordanaires providing background vocals. The session was produced by Felton Jarvis. 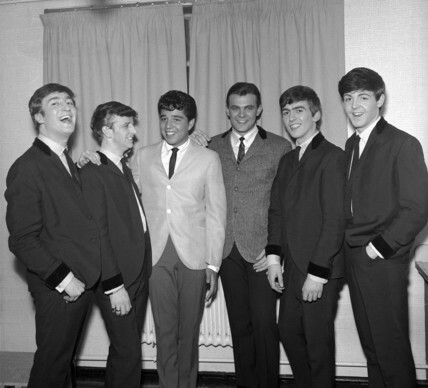 The record was a re-recorded of a song that was first released in 1960 when Tommy was part of a group called the Satins. Happy Birthday, Geoff!!! (Dang, lots of Forgotten Hits birthdays this week!!!) And thanks for the history lesson! I also am looking to replace two WCFL surveys from 1966. They are February 17th and 24th. I have originals of these but I need to replace them with better ones. And be sure to check out Dion on Conan O'Brien's show Tuesday Night ... we love his new album!